Lufthansa has jumped in to offer an Aberdeen – Frankfurt service this winter with a three times daily service from 30 October. The cities were not previously linked. It will be Lufthansa’s sixth UK destination. Regional subsidiary CityLine will operate the flights using Embraer 190 aircraft seating 100 passengers in Business and Economy Class. The airline says it will offer Scotland’s oil capital a two-way connection into the carrier's global hub. 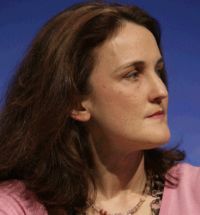 Theresa Villiers, Minster of State for Transport, whose responsibilities include aviation, was the guest of honour for the second year running at the Airport Operators Association’s (AOA) summer network party last week at St Stephens Club, Westminster. Due to Commons business she departed after 30 minutes and was not subject to any questions. In a short speech the Minister failed to mention the question on everyone’s lips, Heathrow and the third runway, unlike her boss, Secretary of State Phillip Hammond who led off with that topic at the Aviation Club a couple of weeks previously. Airlines who add disproportionate amounts to debit card charges will face action under consumer protection laws, the UK’s Office of Fair Trading (OFT) has announced. OFT estimates UK consumers spent £300m on payment surcharges during 2009. 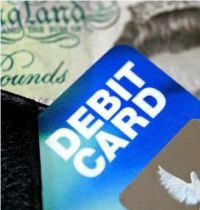 The cost of processing debit cards is estimated to be 20p a transaction, but companies have been found to add up to £8 to final bills for payment by a debit card. Businesses negotiate charges with their credit card handler, with the arrangement per transaction normally fixed at between £2 and £4. Flybe Nordic is the name of a new 60/40 joint venture between Flybe, Europe's largest regional airline, and Finnair, which has purchased Finland's largest domestic carrier Finnish Commuter Airlines (FCA) in a €25m deal to expand in the Baltic market. Flybe last year listed on the London Stock Exchange and Finnair is 55% owned by the Government. 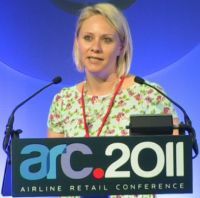 Flybe will take over the day-to-day operation of the airline from Monday 1 August 2011. Underway is a network review expected to be implemented for the start of the airline winter season (30 October). 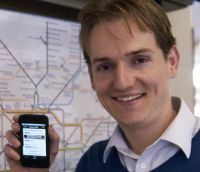 Praised by Transport for London Deputy Chairman Dan Moylan ‘Tube Exits’, an iPhone apps guide to “underground” on the London Tube, is set for launching on the Android platform. Its creator, Lance Stewart, has confirmed that a Blackberry version is possible in the future, subject to market demand. ‘Tube Exits’ is what it says on the label. Basically it is a guide to where to sit or stand on the Underground in order to exit the train for the quickest connection, or actual station exit. More than that it also gives you the optimal routing to your final destination and notes which door to position by for getting out. Street access is also given where platform exits lead to different streets, ideal at such complex stations as Earls Court and King's Cross/St Pancras. It covers every station on the London Underground, DLR and London Overground (Zones 1-9). As the information is stored within the app on the device it perfectly well underground. ‘Tube Exits’ has now launched for the Berlin and Paris metro systems, with Hong Kong, Madrid, Barcelona and Rome to come. Europcar is offering a new ‘meet and greet’ service at St Pancras, which is not only the station for Eurostar but also serves Thameslink, north and south, Midlands Main Line, and the Kent Coast high speed service. Clients need to advise Europcar in advance but then are taken to their hire vehicle for a swift get-away from the busy London terminus. 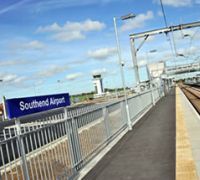 Monday 18 July has now been set as the day that fare paying passengers can actually use the brand new Southend Airport Station. It will be a ‘soft’ opening. Currently a free bus service operates from Rochford Station and since the start of the summer season trains have been ‘stopping’ at Southend Airport Station in order for the timetable to operate properly. A formal, high profile opening is expected to be announced shortly. With the inauguration of the station Southend will become, together with London City (when the DLR opens shortly), the only airport with direct train services to Stratford Regional and with it access to the Queen Elizabeth Olympic Park. Did you hear of the case in America where a passenger turned up with an open two-litre bottle of whisky. Naturally he was stopped by security. After some discussion he was allowed airside. 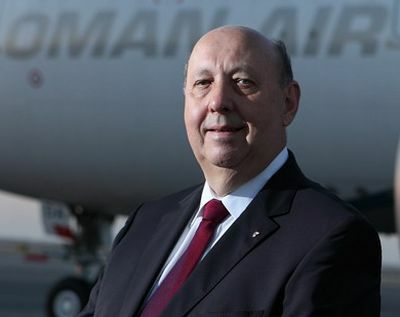 Peter Hill has been CEO of Oman Air for exactly three years and has succeeded in creating an airline of note, even within the competitive Gulf States. Oman Air recently beat such worthies as Singapore Airlines in the Skytrax awards taking first place in the Business Class seat category. Peter joined from Sri Lankan Airlines which he had built up as a top quality carrier over a period of eight years. When the world went into economic meltdown a couple of years ago, my initial thoughts were that the timing could not have been more unfortunate. Oman Air was just one year into its transformation from modest regional carrier to luxury international airline and there was much talk within the industry of the recession sounding the death knell for premium travel. Fortunately, the pessimists have largely been proved wrong. That is not to say that the recession has not presented a series of challenges – and the continuing uncertainty continues to do so. But it has also brought some benefits that we could not have predicted when, three years ago, I and my team in Muscat embarked on our mission to create a niche luxury carrier that could carve out and sustain its own space within the air transport market. We aimed to build an airline that would not only act as an ambassador for the Sultanate, but also contribute to its economic development by promoting the country as a distinctive destination and bringing increasing numbers of visitors to enjoy Oman’s legendary hospitality, awe-inspiring landscapes and rich culture. At that time, Oman Air operated a small fleet of Boeing 737 aircraft, supplemented by two ATR42 turboprops. Our network covered a range of destinations, predominantly across the Middle East and Indian sub-continent, and served Oman’s local and ex-pat communities and a relatively small – but growing – number of tourists. Three years on, the airline looks very different. We have introduced a brand new fleet of Airbus A330s, with unprecedented levels of space and comfort, Business Class and First Class seats that offer direct aisle access and convert to fully flat-bed seats, state-of-the-art in-flight entertainment systems and the world’s first in-flight mobile phone and wi-fi connectivity package. We have also started to introduce Embraer 175s to our regional routes, providing superb comfort for our customers and greater flexibility for our route planners. Our expanded fleet serves an expanded network and we have almost doubled the number of cities we fly to from Muscat, each carefully chosen both to provide exciting destinations for our customers and to draw increasing numbers of travellers to Oman. From the regional network we operated just three years ago, we have moved to a truly international one that includes London and four other destinations in Europe, 15 across the Middle East, 19 destinations in Asia and three in Africa. We will be launching new services later this year to Europe and Asia and recent codeshare partnerships extend our reach to Aberdeen, Edinburgh, Manchester, Belfast, Hong Kong and a number of other destinations in South East Asia. The rapid development of our network has, at times, depended on our ability to spot an opportunity and to move quickly to secure it. The downturn has also played its part here, with desirable airport slots becoming available as a result of other airlines’ contraction – we were able to move our London base from Gatwick to Heathrow in just such a manner. We have also been able to agree deals for a range of support services at far more favourable rates than we might have achieved in times of prosperity. But, in increasing our size, we have been careful not to lose sight of the importance of the passenger experience and, in matters of quality it is the detail that counts. We have paid attention to every step of the passenger’s journey with us, from introducing debit card payment and online check-in to designing award-winning amenity kits and regularly changing our a la carte in-flight menus. We have opened stunning new Business Class and First Class lounges at Muscat which, in addition to their serene ambience, fine dining and up-to-the-minute business areas, offer complementary massages to ease away the strains of long distance travel. In addition, First Class passengers at Muscat can now use the lounge-to-aircraft limousine service before settling into their enormous mini-suites and flying on to their destinations. Whilst the search for perfection is never ending, we are now close to achieving what we aimed for three years ago. Oman Air is well established, has a unique identity, continues to increase its revenues and is a genuine expression of Omani hospitality and culture. And our customers appreciate not just our competitive prices, but also our commitment to offering the very best in air travel. In addition to the array of industry awards that have come our way, and following Oman Air’s upgrading by Skytrax to Official 4-Star Airline status earlier this year, we have just won Best Business Class Seat and Staff Service Excellence: Middle East categories of the World Airline Awards. Also known as the Passenger Choice Awards, these are voted for by customers and, as such, are a true indication of an airline’s worth. We may have faced enormous challenges along the way, but we now truly embody Oman Air’s slogan of Modern vision, Timeless traditions. Next year all airlines flying into and within Europe will have to abide by the EU’s Emissions Trading Scheme (ETS). As a result, airlines will be liable for the costs of both the ETS and the various aviation taxes raised by some governments. Fares are likely to rise by 2% to 3%, each airline making a commercial decision. Passengers will be paying twice for this most debateable levy. Voices and threats are being raised by non-European countries. China and the United States have made it clear that they regard the inclusion of non-EU airlines in the ETS, without their consent, as illegal. Both countries have threatened to retaliate with trade sanctions. 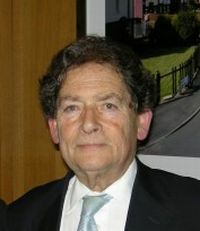 A panel in London last week was headed by former UK Chancellor Lord Lawson, Chairman, Global Warming Policy Foundation (GWPF); and included Holger Krahmer, MEP; Andrew Herdman, Director General, Association of Asia Pacific Airlines; and Nancy Young, VP Environmental Affairs, Air Transport Association of America. The general consensus was that the EU needs a moratorium on the matter, time to reflect on its policies. The whole matter goes to European Court of Justice in Luxembourg this week. 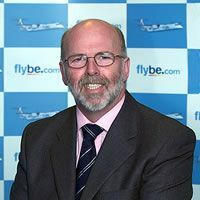 Normand Boivin, currently Operations Director for Aéroports de Montréal, will be joining BAA as Chief Operating Officer for Heathrow on 29th August 2011. 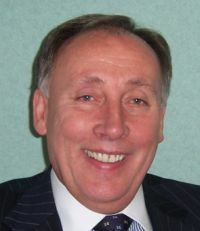 Normand brings almost 30 years’ experience of the aviation industry. He started his career in 1982 as an air traffic controller for Transports Canada, since when he has directed operations at three Canadian airports. 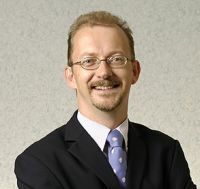 Normand supported James Cherry, CEO of Aéroports de Montréal in his role on the Heathrow Winter Resilience Enquiry panel convened earlier this year by Professor David Begg. IATA has published World Air Transport Statistics (WATS) for 2010 which lists Delta as the world’s largest air carrier in terms of RPK’s (Revenue Passenger Kilometres). 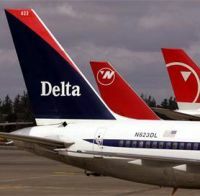 This figure will be overtaken in 2011 with the amalgamation of Continental and United airlines. Leading as a purely international carrier is Air France-KLM, with next up Emirates, as it expands its A380 fleet, followed by Lufthansa, Delta (again) and then British Airways. 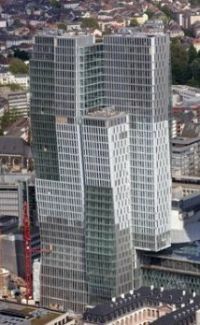 Getting ready to open in September 2011, the Jumeirah Frankfurt is a 5-star city centre hotel. It is the first German property of the Dubai-based luxury hospitality management group, Jumeirah, and is located within walking distance of the financial district and stock exchange, pedestrian shopping areas and the city’s opera house. The hotel is part of the Palais Quartier complex, which is currently considered as one of the most significant city centre developments in Europe. The hotel tower, with its glass curtain wall, and the opposite office tower creates an exciting contrast to its baroque neighbour, the reconstruction of the 18th century Thurn und Taxis Palais. The new shopping centre ‘MyZeil’ is adjacent. The 218 luxurious guestrooms are claimed to be the largest in Frankfurt and are located on floors 6 to 25. The presidential suite located on the 24th floor will include two guestrooms, a private sauna and views over the Frankfurt financial district. Starting 13 September Wizz Air has added Lodz (LCJ) as its 24th destination from Luton Airport (LTN). The new flights will initially operate three times weekly. Lodz is the third-largest city in Poland with a population of around 750,000. It is located just over 80 miles south-west of Warsaw. An industrial town, noted for cheap labour costs, Lodz, somewhat controversially, is now the site of Dell’s major assembly operation, previously in Limerick. Richard Deakin, Chief Executive of NATS (National Air Traffic Systems), is the guest speaker at the Aviation Club on Thursday (7 July). Following the controversial appearance of Phillip Hammond, UK Secretary of State for Transport, it should prove to be an equally enthralling appearance. 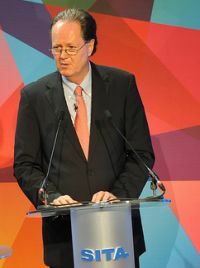 NATS shareholders are the British government (49%); The Airline Group (42%) – BA, BMI, easyJet, Monarch, Thomas Cook Airlines, Thomson Airways and Virgin Atlantic; BAA (4%); and employees (5%). No doubt Mr Deakin will speak of the PPP’s future, mention volcanoes and perhaps cover Heathrow and air traffic, a subject that is much in the news. Profits went up last year by 35% to £106.1m. 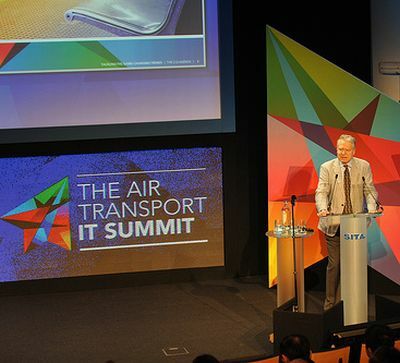 Mr Deakin joined NATS in April 2010 and was previously Senior Vice President Air Systems Division Thales. 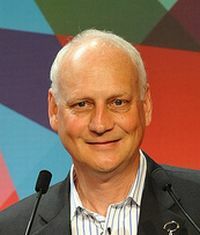 Graduating from Kingston University he spent 17 years at BAE Systems, his final post Vice-President Commercial Aerospace. 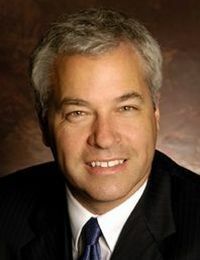 He has held senior positions at TRW Aeronautical Systems and GKN Aerospace Services . Ryanair ‘The World's most annoying airline’ looks like it has cried ‘Wolf” once too often. Last year it pulled a number of routes which were clearly not working from Stansted on the grounds that the airport was expensive. It is now to introduce a daily Malmo service, London presently not connected to Sweden’s most southerly city. 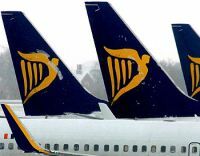 From Stansted the airline will, from 2 November, offer passengers the choice of four Swedish airports – Gothenburg and Skavsta (60 miles south of Stockholm) and also about 60 miles from the city but directly east, Vasteras. On board aircraft sales is big business as any regular traveller will have noticed. Last week London’s Brewery was the venue for the third Airline Retail Conference hosted by Ink, very much into the area as publishers of a whole series of in-flight magazines. 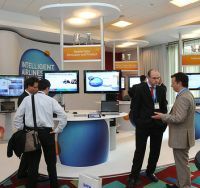 Some 250 delegates attended representing over 30 major airlines. The included exhibition was twice extended to finish up with 48 company participants. With electronic gadgets now fully accepted on scheduled flights “Attract mode” is the latest in phrase with the industry, emphasised by John McDonnell, CEO Patron Spirits Company. “Attract mode in retail is derived from the feature on video games typically found in video arcades where sample games are being played automatically while the console is not being used”. In the same way, McDonnell said, his company will be placing Patron Ice Bars in airports with World Duty Free shops. 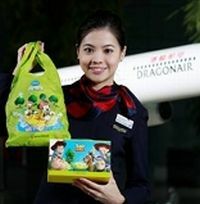 Travellers can then sample their products and receive information about the product even before they get on board. New research has found that in just a generation the face of the family holiday has changed dramatically, with children travelling further and to a wider range of destinations than ever before. By16, 94% of children have been abroad, whereas only four in 10 of their parents went overseas as children. Children are also travelling wider than their parents ever did. Just 2% of today’s parents had been to North America when they were young, over a quarter (28%) have now taken their own children to the USA or Canada. Closer to home, just 26% of today’s parents said they had been to Europe as children, yet 73% said they had since taken their own to the continent. 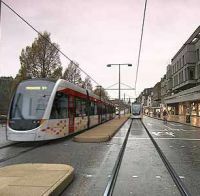 A partially built tramline between Edinburgh Airport and the St Andrews Square in the city centre has been saved following a meeting of the full council last week. Although £200m has to be found there is an air of confidence that the project will be completed, but not until 2014. Work actually started on the 8.5m track back in 2008. It incurred major cost overruns and is now said to be 28% complete. A much more ambitious scheme covering the whole of the City of Edinburgh is still on the drawing board with its future uncertain. 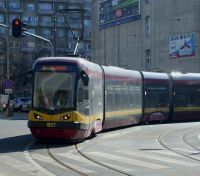 Scottish Transport Minister Keith Brown has signalled that the Scottish Government was ready to help fund the trams by letting the city borrow against future business rate income. KLM Royal Dutch Airlines has become the first airline in the world to operate a commercial flight on biokerosene, which is produced from used cooking oil. Flight KL1233 – a Boeing 737-800 – took off last Wednesday (29 June) at 12:30 from Schiphol bound for Paris Charles de Gaulle carrying 171 passengers. This same raw material will be used in the flights scheduled for September. 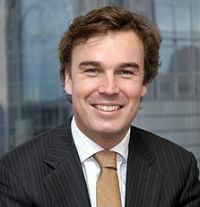 The biokerosene was supplied by Dynamic Fuels via SkyNRG, the consortium co-founded by KLM in 2009 with the North Sea Group and Spring Associates. 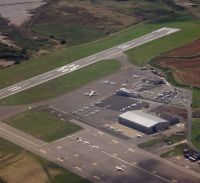 Kent’s Lydd Airport’s multi-million-pound development programme has taken another step forward following completion of the first phase of refurbishment work to its main terminal building. The airport, directly south of Ashford, now has improved passenger check-in and security facilities, larger arrivals and baggage reclaim areas and a new departure lounge capable of accommodating up to 100 passengers an hour. The upgrade also includes additional state-of-the-art CCTV and electronic access control systems to enhance the safety and security of passengers and aircraft. A further phase of refurbishment will include the introduction of an arrivals carousel and check-in desk baggage conveyors, which will be completed before the end of the year. In what is seen as a pioneering concept, flight comparison site Skyscanner has launched a brand new way of finding flights via Facebook. The new ‘Skyscanner for Facebook’ tool allows the social network members to post a flight request and receive a price quote and flight details back in seconds. Created specifically for Facebook functionality, the tool is easy to use with no need to navigate away from the site or install any apps. As well as a quote, it also includes a link to the flight details on the main Skyscanner portal, from where flights can be booked or options filtered.